Just Listed At Redington Shores Yacht & Tennis Club! The PURTEE Team just listed a beautiful waterfront condominium residence in Redington Shores Yacht & Tennis Club! Unique along the barrier islands of Tampa Bay is Redington Shores Yacht & Tennis Club, a gated community offering a combination of waterfront condos and private homes. Amenities include clubhouse with fitness, pool & hot tub, tennis courts and 24hr guard gate. The four condominium buildings were completed in 2007 with all-block construction, 10ft ceiling height and split floor plans. Unit 505 in Las Flores enjoys a panoramic view of both Boca Ciega Bay, the intracoastal waterway and the Gulf of Mexico. Pre-construction builder upgrades are many… from jetted master bath, upgraded cabinetry throughout kitchen and baths, upgraded kitchen, crown molding and tile throughout great room. Full laundry room w/wash tub. Water softener. 30ft balcony. The perfect way to enjoy the Florida lifestyle! MLS # U7727651 For community amenities, click here for Virtual Tour. In this case, the owners of this gorgeous condo at Redington Shores Yacht & Tennis Club, going through their own financial and health issues, find themselves unable to keep up with this property weighted down with both a 1st and 2nd mortgage. They got a contract in which would be a short sale and presented it to the lender along with their hardship dilemma. After several weeks of intense scrutiny, the lender refused to even consider a short sale? So… the alternative??? Either let the bank foreclose on the property or be willing to accept a contract at a price where they can liquidate their future retirement and bring the balance of the funds to the closing table themselves. So… that is the story with this condo. back on the market at $495,000 FIRM… $55,000 less than any other condo currently listed in the community! Seller will be ADDING close to $150,000 to the Buyer’s purchase to make the transaction go through. Tough on the Sellers… an amazing opportunity for the Buyers. For information, click here. 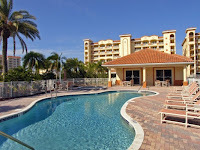 Spectacular Penthouse Just Listed In Redington Shores Yacht & Tennis Club! Every now and then, a residence comes on the market that is truly unique… Penthouse 702 is just that property! This 4000 sq ft beauty combines top-of-the-line upgrades and designer furnishings with the amenities of an exclusive gated community: Redington Shores Yacht & Tennis Club. The community consists of 4 buildings of waterfront condos as well as 63 private home lots with custom homes in various states of completion. Las Flores is the second building from Gulf Boulevard giving it the distinct location of far enough away from the road noise and out on wide open water, along with being close enough for a short walk to the beach. at $2.2 million BEFORE the $250,000 in upgrades. You will find this luxury property just listed at $1.25 million… for an exceptional 50% OFF sale. This is the time to take advantage of the depressed market value and get a property that is truly a stand-out! 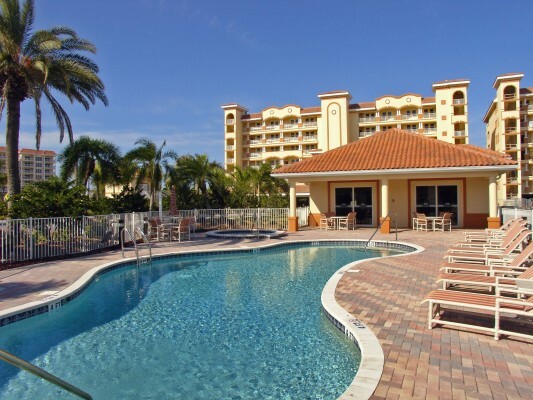 Spotlight on Harborview Grande – Clearwater Beach! As we showed property to buyers over the weekend, the question that continues to arise yet again is a confusion over “Which condo complex should we choose?” It is rather daunting when you drive from St Pete Beach in the south to Clearwater Beach in the north and see hundreds of different complexes. First, let’s tackle the condo complex question. In 2004, after a series of hurricanes, Florida toughened up the building codes making builders adhere to a much more rigid permitting and approval system. 2005 was about the turning point when builders no longer elected to use wood frame structures and began building with concrete (a combination of poured and block). Sliding glass doors began to have step-over high water thresholds at their base and high impact glass. If you take buildings completed in 2005 (like Sereno), 2006 (like Harborview Grande, La Vistana and Bella Rosa), 2007 (like Redington Shores Yacht & Tennis Club), they all have been built with the new codes and have the higher ceiling height, all block construction and high-impact glass. Bear in mind that as the market declined in late 2007 construction on new projects halted… resulting in NO inventory from 2008, 2009 and 2010! Therefore, when a buyer is looking for newer construction, it narrows down to complexes built in 2005, 2006 or 2007. That certainly does not mean that the other older complexes are not worth consideration. Many of the buildings from the 70’s and early 80’s were built with all-block and have weathered many strong storms. Hurricane shutters go a long way in protecting the lower impact glass. Feel free to bookmark them and learn more about both complexes… we feel they are rising stars for both the present and future! 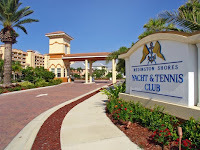 Redington Shores Yacht & Tennis Club is totally unique along the beaches of Tampa Bay… a gated community that combines private home lots and single family homes with waterfront condos in three sizes – 2000, 3000 and 4000 square feet. It took over 4 years for the developer to secure this prime 25 acre parcel of real estate. By the time construction was begun on the 4 waterfront condominium buildings, the project was completely sold out pre-construction. In order to secure one, a 20% deposit was given as earnest money. In early 2007, as construction was winding down, closings began in Building 1 (Las Palmas). Bank appraisals were coming in at the high $800,000 range so spirits were high about their new purchase and the sky was the limit in decorating and upgrades. Building 2 (Las Flores) and Building 3 (Las Brisas) were next. Rumors were starting to emerge that the market was adjusting and a couple of people in Las Brisas walked away from their deposits in order to not close. By the time Building 4 (La Bahia) was ready to close, everybody walked away from their deposits and all of the sudden the developer had 28-3000 square foot units back on their hands! A brand new gated community with all the amenities… no one thought the floor was about to fall out. By 2008, nothing was selling. Investors who had flocked to this project and never expected to close were now seeing their values drop and a potentially long holding period. One by one, we have seen those units fall victim to a short sale, or in some cases foreclosure. Simultaneously, the builders and lots were falling into foreclosure. What had been started as a true first class destination was struggling. Monthly fees increased to cover the defaults and maintain the property. Things weren’t pretty as we ventured into 2009. The developer was practically giving away the units in La Bahia to get them off their plate! So where is Redington Shores Yacht & Tennis Club today? On a positive note, the developer finally turned over the association to the owners in February 2010. Defaulted payments were caught up and the monthly fees were reduced back to their original level. The new master association implemented guidelines to ensure the level of the community. Since nothing was built in 2008 and 2009… and even 2010, complexes built in 2005, 2006 and 2007 are the NEW buildings. The building codes dramatically got stricter in 2004 so we use that year as a threshold. So… it is new, beautiful, well run and unique on the beaches. Who is selling and when is the right time to buy? The 2000 square foot condos have sold as short sales as low as the $300,000’s… with a boat slip up to $565,000 recently. Currently, there are 2000 sq ft units available from $449,000 to $675,000. ALL of these properties are listed below their original purchase price. No 3000 sq ft units are available and one 4000 sq ft penthouse is listed at $1,799,000. If ANYTHING comes on the market far below market value, there is a pent up demand of buyers waiting to swoop in! We found out about the short sale in our prior Blog Friday afternoon and had the word out to our database within 2 hours… then had it under contract by noon on Saturday by someone who had been waiting. This is an amazing community and there are owners who have paid a wide variety of prices for their units. 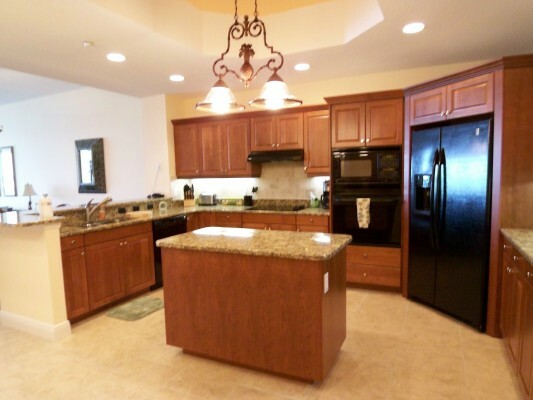 Some are bare bones minimum… some have beautifully appointed upgrades… some have gorgeous designer furnishings. This is definitely a property to keep an eye on going forward!!! This one couldn’t wait! Just wanted you to know that a new short sale came on the market in Redington Shores Yacht & Tennis Club… priced at $374,900!!! This is an amazing opportunity to pick up a fabulous waterfront 3 bedroom/3 bath condo in a gated community in Redington Shores (in the coastal area of Tampa Bay, Florida). As a matter of fact, our Blog is filled with a library full of information about the Tampa Bay area and the Florida real estate market. Redington Shores Yacht Club On The Move! We continue to talk about how quickly the market can change. 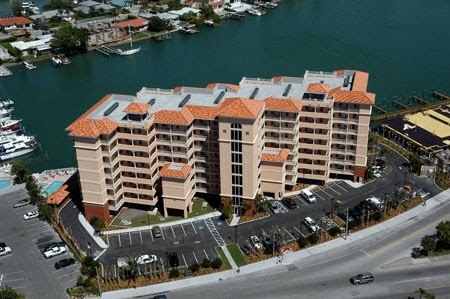 A few months ago, there were distressed sales available in Harborview Grande in Clearwater Beach. Savvy Buyers who had sat on the fence for months realized the opportunity was NOW. The result? There is nothing available for sale in the complex and there is a waiting list of hungry buyers wishing they had moved quicker. 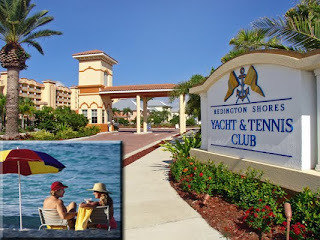 The other community we watch closely is Redington Shores Yacht & Tennis Club. As a matter of fact, we have a dedicated website for this community because of its uniqueness along the beaches of Tampa Bay. Built in 2007, this gated community combines beautiful waterfront condominiums with private homes. A clubhouse, lighted tennis courts, fitness center, private boat slips and waterfront pool & spa for each of the four condo buildings. Plus, right across the street is a beautiful stretch of white sandy beach! 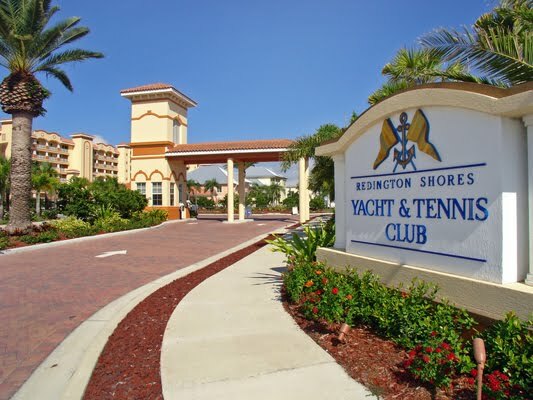 Redington Shores Yacht & Tennis Club got caught right as the market turned downward. As the owners who had anxiously awaited the grand opening were closing on their condos, appraisals were coming in 15-20% higher than the price they had secured pre-construction. The delight felt by these new owners was short lived and over the past two and a half years they have watched their property slide in value by up to 50%! Of the 126 condos, 6 have fallen into the mid-$300K range as short sales of foreclosures. Lots have been foreclosed on while other homes were still under construction. So is the value still there? We believe it. As a result of the market downturn, builders and developers abandoned new construction projects quickly. For that reason, there is a major shortage of new construction and because of that projects finished in 2006 and 2007 ARE the new construction. In the last three weeks, we have seen the last of those distressed sales go under contract. The deal that we particularly liked was a penthouse unit listed at $495,000… a full $100,000 more than those distressed sales. It went under contract Monday. What does this mean to current owners and buyers wanting to get into the community??? The $300’s and $400’s are gone. At this time, there are 7 of the 2000 sq ft condos and 2 of the 3000 sq ft condos available for sale. The lowest prices? In Building 3, #206 for $529,000 and #304 for $535,000. WHY would a buyer go after those two knowing others had sold for less? Because after those two, the next least expensive is #401 in Building 1 for $599,000! Of the other six on the market, prices range from $600,000 to $829,000. In advising a Buyer right now who loves the community, I would remind them that these $500’s are a full $300,000 less that what they were appraised for in 2007. In each of those situations, the sellers are losing money. The community is still the most unique on the beaches and the construction is new with the high ceilings and stricter building codes. What do you think? We are DEFINITELY seeing the market in our area bottom out! At Redington Shores Yacht & Tennis Club, prices had moved down like there was no floor! From the high $800,000 range as it was completed in 2007 to recent short sales listed just under $400,000… it has been a HALF PRICE SALE and no one knew where the bottom would fall to. THREE condos, listed as short sales at $369,000 and $399,000 have ALL gone under contract. The least expensive now is $400,000 even. After that one goes, the next lowest deal is $460,000. Then $529,000… then $549,000. At each stage of these being swept up by savvy buyers, the low threshold becomes higher. Currently listed, there are the two units in the $400’s, then six units in the $500’s. After that, there are only four in the $600’s, one in the $700’s and another in the $800’s. Homes are finally showing up under construction in the community making the gated community with private homes and waterfront condos truly unique along the beaches of Tampa Bay. The boat slips that are available for separate purchase add that much more value! I can foresee a time in the not-so-distant future that buyers will be scrambling to get those six units in the $500’s. Our advice is don’t get left behind!